What is your current title and what drew you to work in Children’s Services? 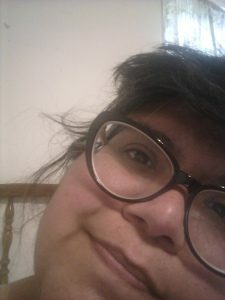 From 2006 through 2015, I worked at the San Antonio Public Library (SAPL) as a Teen Services Liaison and as an Academic Unit Assistant for the Department of Early Childhood Studies at San Antonio College (SAC). I left SAPL in 2015 to pursue my graduate degree but I continued at SAC Early Childhood Studies. The desire to work in Children’s Services have been part of my landscape since college. In college I was a volunteer tutor at a local elementary school and, as an Independent Study, I created a Children’s Advocacy student group. After college, I worked as a Children’s Advocate at a domestic violence shelter. More recently, after much soul searching, I believe that advocating for multicultural, anti-bias children’s literature starts at Emergent Literacy. How has your experience as a Spectrum Scholar influenced you professionally/personally? As a Spectrum Scholar, I was professionally influenced to seek opportunities for growth and experience outside my current job duties. I had the idea that our college should build a Family/Children’s area inside the community college library. This belief was based on my past experiences working at the public library. The Spectrum Institute gave me the courage to talk with the college executive team. In July I was asked to join the San Antonio College Library committee to create the college’s first ever, Family and Children’s Area. Per the library director, I am exploring options for possible practicum hour inclusion. What was your biggest takeaway from attending the Spectrum Institute? 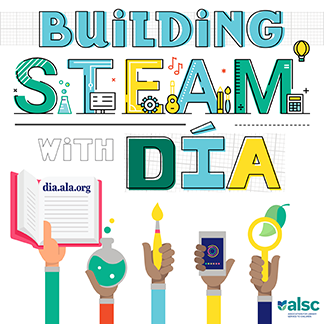 The Spectrum Institute contributed to people of color and minority representation in ALA. I will be forever known as a Spectrum Scholar and that is the badge I want to honor in my everyday life. What were some activities you were able to be a part of at this past Annual Conference? Since I work at a community college and at Early Childhood Studies, I deliberately attended sessions on the “ACRL Framework for Information Literacy in Community College Library Instruction”, “STEM for Babies and Toddlers: A powerful foundation for language and literacy”, and the General Session featuring Michelle Obama. I enjoyed dinners and explored New Orleans with fellow Spectrum members. Networking opportunities were available during the session ALSC 101 and the President-Elect Loida Garcia-Febo’s reception. 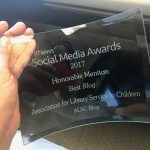 In your work with libraries thus far, what has been your proudest moment? SAC Early Childhood celebrates the National Association for the Education of Young Children (NAEYC)’s Week of the Young Child (WOYC) annually. While attending an art reception at the college library, I had an idea to bring the college’s child care center’s children’s art and sculptures into the library’s performance area during WOYC. This allowed the college to appreciate the art by our children and the student/parents and their children visited the college library as a field trip. This was the first time that the college’s child care center visited the college library in a meaningful and intentional way. Celebrate Your Hard Work This Summer with a Literary Treat!